The Greek Golden Visa is among the cheapest and simplest investment residency programs in Europe. If you invest in Greek real estate at least EUR 250,000, you can apply for Greek residency, and can receive your permit within just 6 weeks. Now the scope of investment might be expanded. 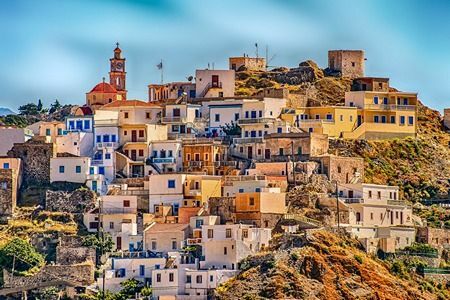 While the minimum investment amount is only EUR 250,000, investors applying for the Greek Golden Visa typically spend more than EUR 700,000 on real estate. Since its 2014 inception, the program granted visas to more than 2,000 applicants, and brought more than EUR 1.5 billion in investment to Greece. Chinese investors are especially interested: about 850 Chinese citizen brought real estate worth ca. EUR 500 million in the program. Chinese investors are also interested in Greece, especially in development areas such as transport, energy and telecommunication. These sectors are strategically important for Chinese state-owned enterprises, while private corporations and individuals usually prefer tourism and real estate. Already last year, the then Greek Minister of Economy and Development, Pistorlas already stated that the program would be reformed. Now the newly appointed Minister Dragasakis revealed that his office is already preparing the legislation for the expansion. With that, new investment types will become available for international investors. While just now not much is known for sure, it seems that the acquisition of publicly traded bonds and shares will be included in the program. The new bill making this possible will also address former procedural issues, making the Greek Golden Visa program even more straightforward and transparent. Minister Dragasakis recently also attended a meeting with representatives of Greece’s banks. There, among other things, they also discussed the changes proposed to the Greek Golden Visa program. This way all seems set for the introduction of the new legislation and the expansion of the scope of investment for international investors looking for European residency in Greece.